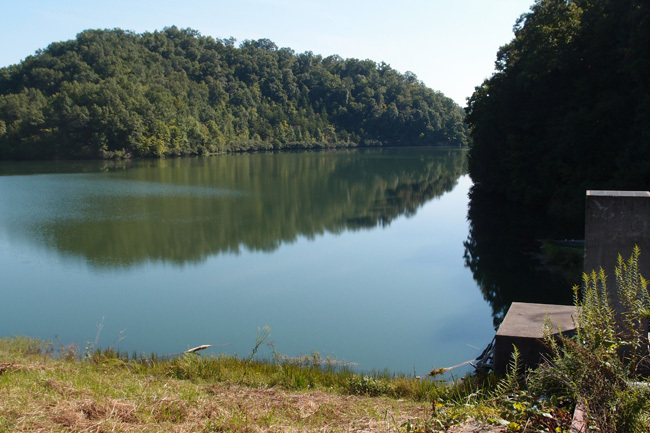 The other lake, near Martin’s Fork, is Cranks Creek lake. It has an earthen dam. In this picture, I’m standing on the dam (36.738065, -83.237717). 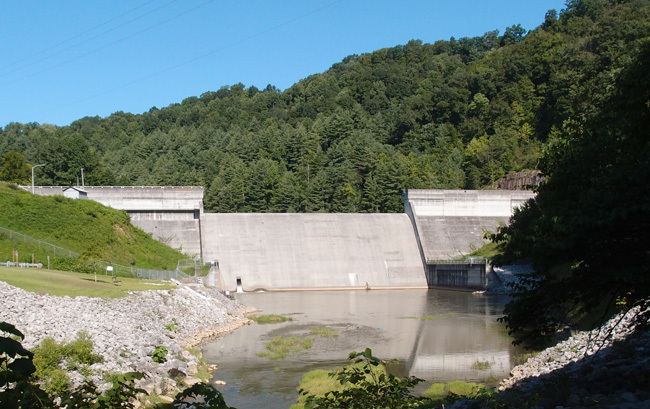 This dam was put together in 1963 and encloses 219 acres of watery wonderfulness. 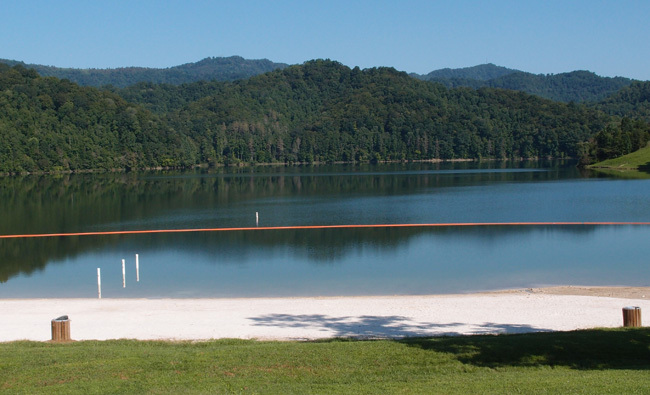 In this view, it looks somewhat like Steele Creek lake. 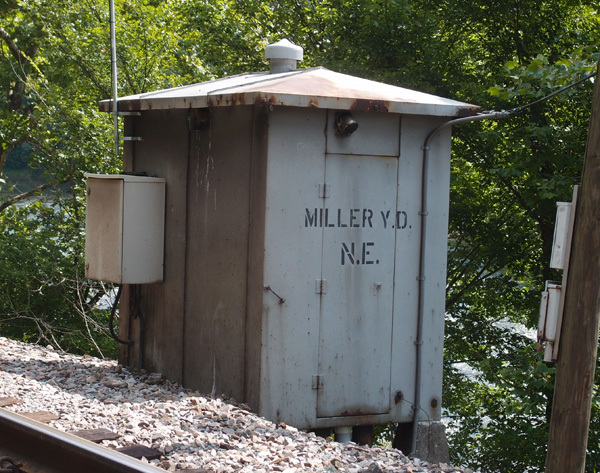 We hadn’t been to Miller (or Miller’s) Yard (northeast of Dungannon, along the Clinch River) in about three years. 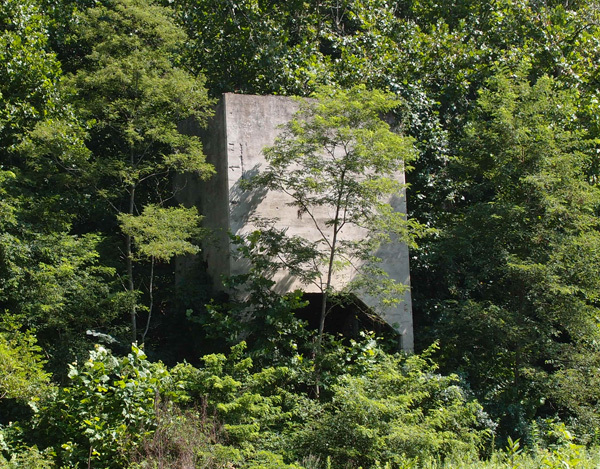 Everything’s really overgrown, since we’ve had so much rain, and the only old structure still visible is this old loader made of durable concrete. 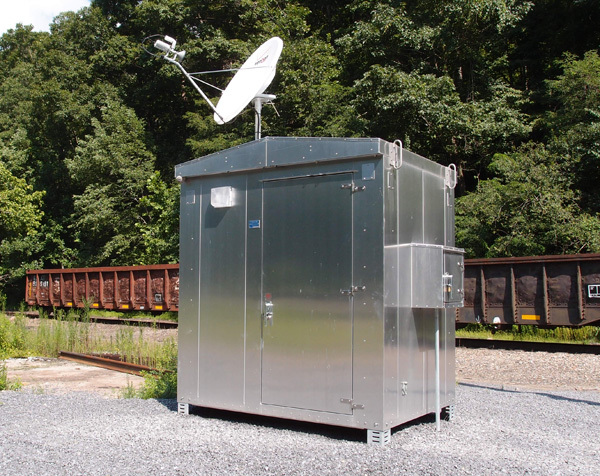 The railroad has built a new structure, some type of autonomous communication building, in the interim. 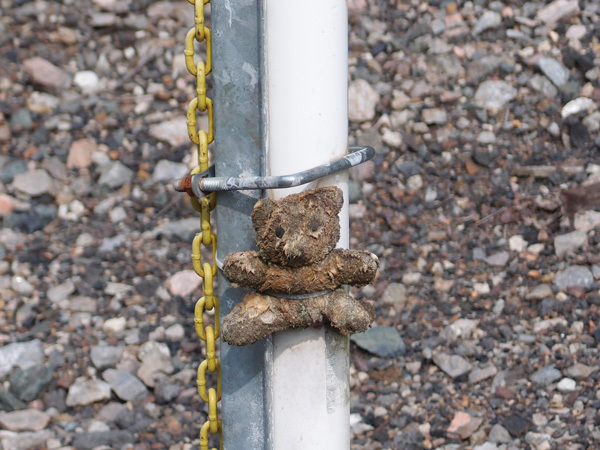 But the old defect detector, with identification, is still there. 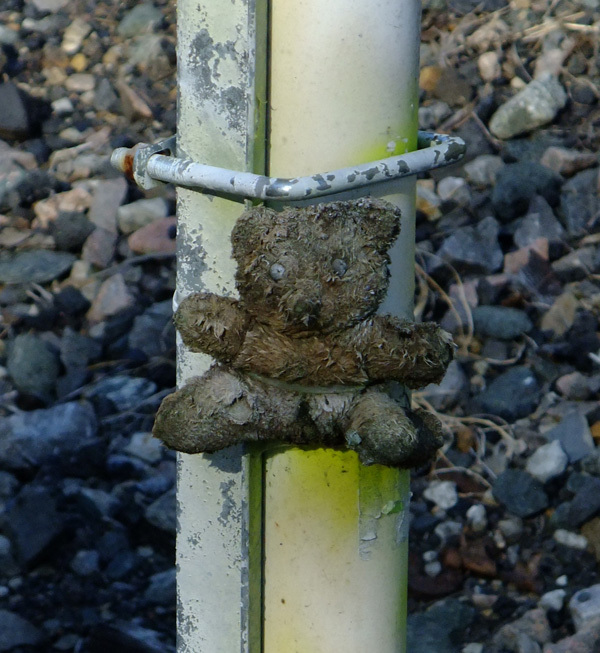 Oh, and that teddy bear lashed to a pole in the yard is still there. Here’s what it looked like three years ago.